WELCOME TO AMERICA'S PREMIER HYBRID HIBISCUS MAIL-ORDER WEBSITE. We hope you enjoy our Fancy Hibiscus and visit with us often. We are located in sunny South Florida in the balmy beautiful tropical Ft Lauderdale area - perfect year-round hibiscus growing weather! NIGHTFIRE-finally back in stock-hotter than its pictures-limited supply. Winn at work. 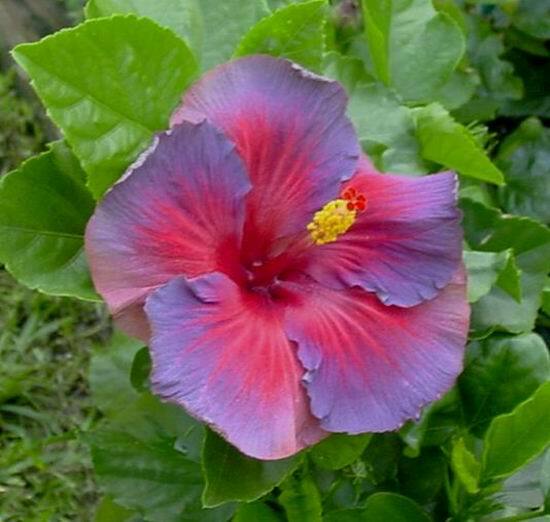 We sell and ship those Tropical Hibiscus, Hybrid Hibiscus and Grafted Hibiscus we call FANCY HIBISCUS (TM)! We also have access to over a thousand varieties. Visit our Online catalog to see great pictures of beautiful flowers that are available for you to grow and enjoy. Be sure to navigate the entire site as there are more than 300 varieties showcased. Always check with the Very New page to see what varieties are being tested and evaluated. YES, Hummingbirds are attracted to hibiscus flowers. 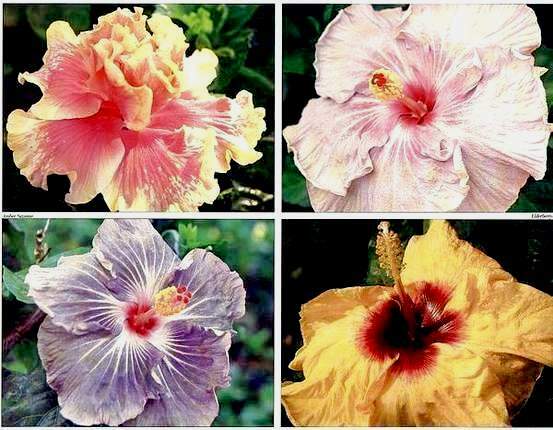 We have WHITE hibiscus, RED hibiscus, YELLOW hibiscus, BLUE hibiscus, GRAY hibiscus, ORANGE hibiscus, PURPLE hibiscus, BROWN hibiscus, PINK hibiscus, GREEN hibiscus, BLACK?? hibiscus , VIOLET hibiscus, multi-colored hibiscus...singles, windmill singles, doubles (more than 5 petals), miniatures ( flowers 5 inches or smaller), orchid-shaped doubles, peony-shaped doubles, loose doubles, cup and saucer doubles, singles with crowns, yes double yellows, even fragrant hibiscus from the hills and valleys of Hawaii. The varieties and shapes are endless BUT we have chosen the best for you! Varieties are constantly coming and going, so please use our pictures as a guide and call Winn for availability at 954-782-0741. Prices start at $25.00 per plant. Our plants are guaranteed and we will help you grow your plants...ca ll the HIBISCUS HOTLINE at 954-782-0741 to order and then if you need help. Winn is always available to answer your call and questions. Call or email Winn for availability and shipping costs. 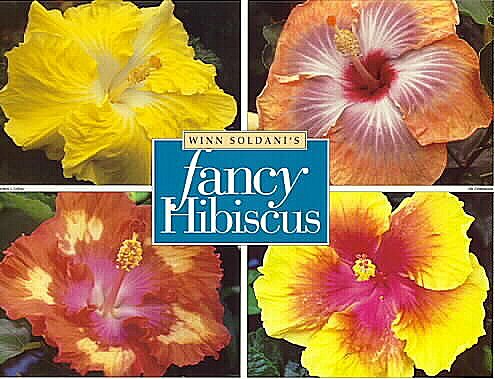 Fancy Hibiscus began in 1979 when our family attended our first hibiscus show. We went really crazy over these beautiful flowers and drove around the state of Florida to as many of the hibiscus shows we could find. We visited botanical gardens and specialty growers to collect more and more of these tropical beauties. We realized immediately that the quality of the plants we were producing were superior to the ones we were purchasing from the "experts". It was not long before we were selling and growing and growing to sell. 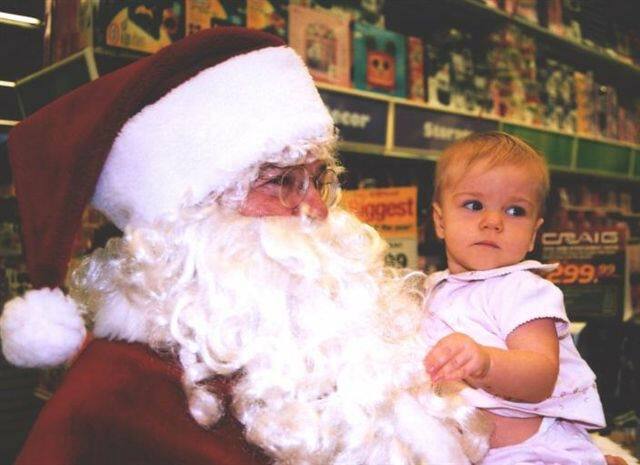 At first most of our business was shows and by word-of-mouth, but we also did a lot of wholesale business. In fact, if you have purchased a hibiscus by mail in the past, it may have been produced by us! We grow our own plants - we have control of every step from rooting to grafting. Actually, I do all of the grafting with Papi (Maria's retired father), helping out with all the other chores. And I answer all email within hours not days. We are proud of our plants and look forward to sharing them with you. We ship plants all over the country and all over the world. 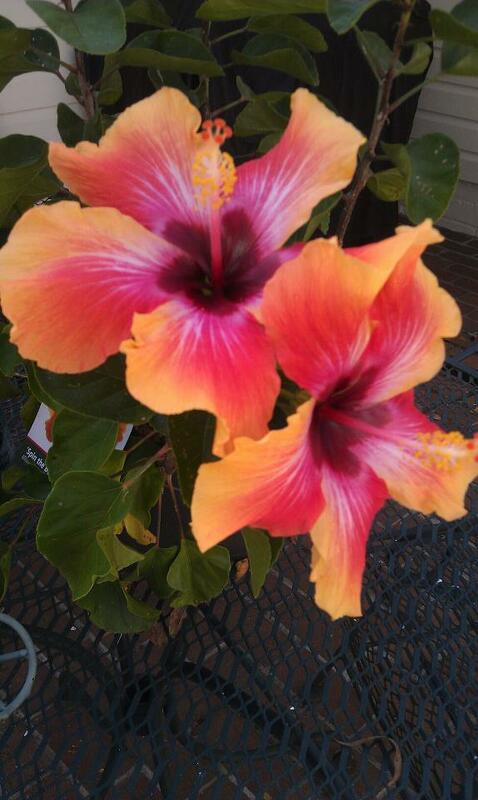 If you are in the neighborhood, give us a call and come visit our Fancy Hibiscus. THE PATH-- featured in National Gardening Magazines and Theme Parks in the Midwest. Fast grower, great bush, blooms easily. Blooms are 8 to 10 inches! HULA GIRL....Hard to believe but this popular Hawaiian beauty is really from Florida and was adopted by Hawaii as one of its own. HULA GIRL is a 6 to 8 inch single bright yellow with light red center. Great bloomer, bush and hedge. Ask the people at the Magic Kingdom. Double yellow hibiscus flowers are hard to find in many parts of the country--here's one that grows fast and blooms! Creole Lady-very large single blue/gray with coral peachy edges that turn YELLOW in the afternoon...always seems to be blooming. RUM RUNNER- CHANGES COLORS from rosy pink to beige. Great grower and easy bloomer. PURPLE MAJESTY --- best growing red purple around - beautiful spotting - different every time it blooms. BLACK BARON--7 to 9 inch single--a really really dark flower with black overtones...great bush and grows easily - turns into a blood red in the afternoon. 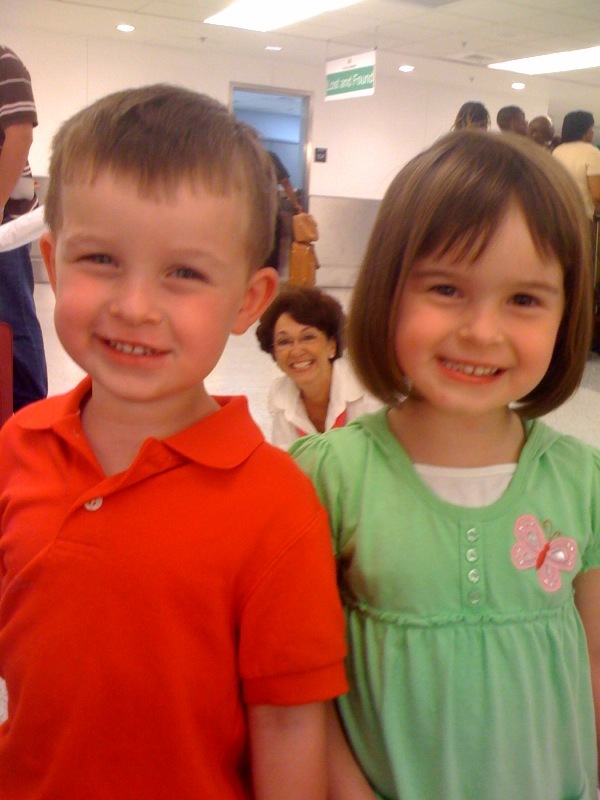 TWINS came down for a visit--Jake, Lily and "Tita" at Miami Airport. Ordering Information - These Tropical beauties can be yours. No online ordering available...please call Winn @ 954-782-0741 to check availability and to order. Customers' Comments - Read how others feel about our Fancy Hibiscus plants and service. Wholesale -- E-mail Winn for more information... we are not really large enough to wholesale ourselves but may be able to help since we are consulting with several really large nurseries trying to get in the hybrid hibiscus world. New!! - always new varieties and pictures. Very NEW --- a listing of varieties we have in the works, not yet in full production...some pictures...lots of new and hard to find varieties. Blues/Blacks/Silvers - Colors in combinations you won't believe. Rare Species - we have what others don't! Unusual and hard to find oldies...like the almost extinct Chinese Lantern/Schizopetalus. Hibiscus floating in a Swimming Pool great picture showing how to use Fancy Hibiscus in Florida. Very Very New -- Did you say new? Here are some really new hybrids that we are evaluating and many of them may be available right now... a wish list?? 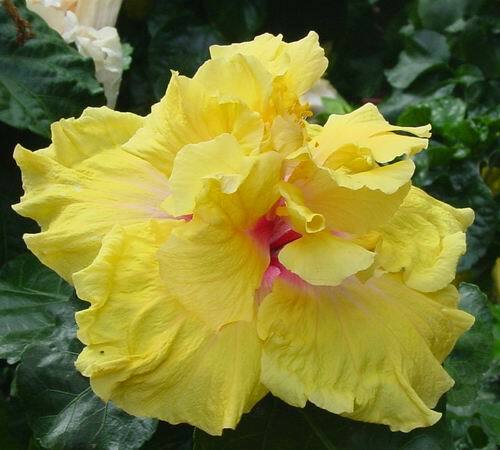 Perennial Hibiscus - all our varieties presented are the tropical species - some people like the hardy perennial kind. 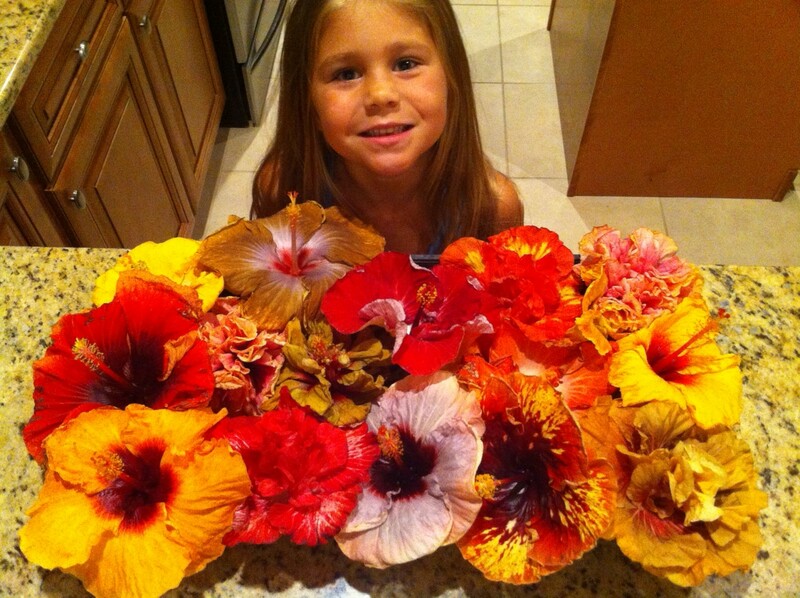 Our friends at Fleming Flowers are growers and distributors of the finest perennial hibiscus in the world. Newspaper article - from the Miami Herald. Angels Trumpets from Papi's back yard. A Growing Plan ideas on growing Fancy Hibiscus indoors. Contact Info - address and phone...please call before visiting. Do you see anything special in this flower? Click on the picture to enlarge and look for a surprise! HERE'S JACKSON---owned by long time friends Jan and Bill S. of Pompano Beach-- Jackson is a Westie, a West Highland White Terrier. He's a 5 year old male who is strong-willed, energetic and loving. His favorite treat is a bite of pancake and he loves peeing on their beautiful flowers. CADIE'S DADDY VISITED THE OTHER DAY AND WE SENT HIM HOME WITH BUNCHES OF FLOWERS . All pictures and text copyrighted by Winn Soldani's Fancy Hibiscus, and may not be reproduced or used in any manner without expressed permission. 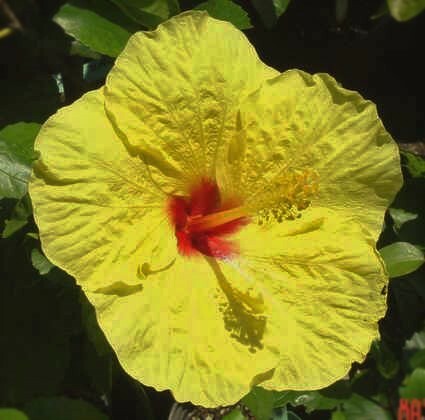 The term FANCY HIBISCUS IS THE COPYRIGHTED property of Maria and Winn Soldani. You are invited to e-mail Winn if you have any questions on the care and culture of these tropical beauties that we call Fancy Hibiscus. 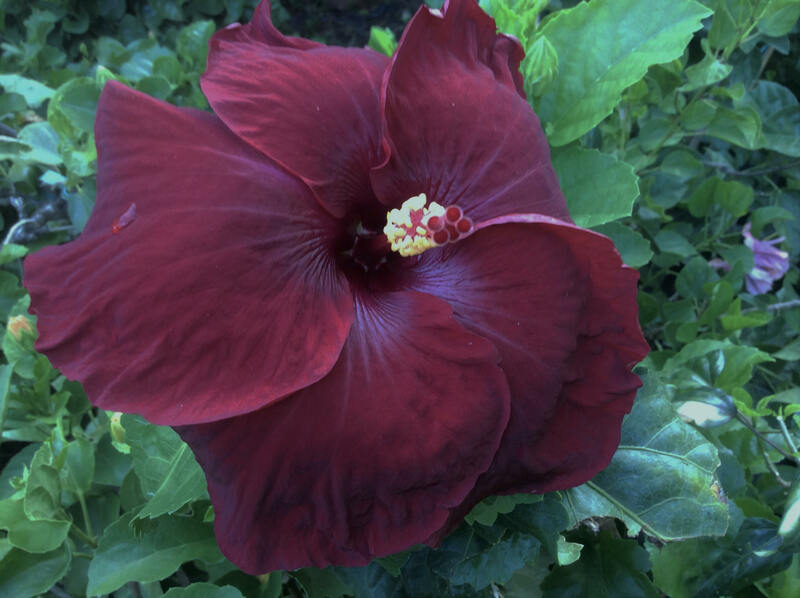 The Jo Williams Hibiscus, available only from Winn Soldani's FANCY HIBISCUS  is featured on the cover of A Garden Diary: A Guide to Gardening in South Florida by Bob Haehle & M.E. DePalma.